← Please sign here. Careful now, make it legible! I should warn you now; this is a picture-heavy post. 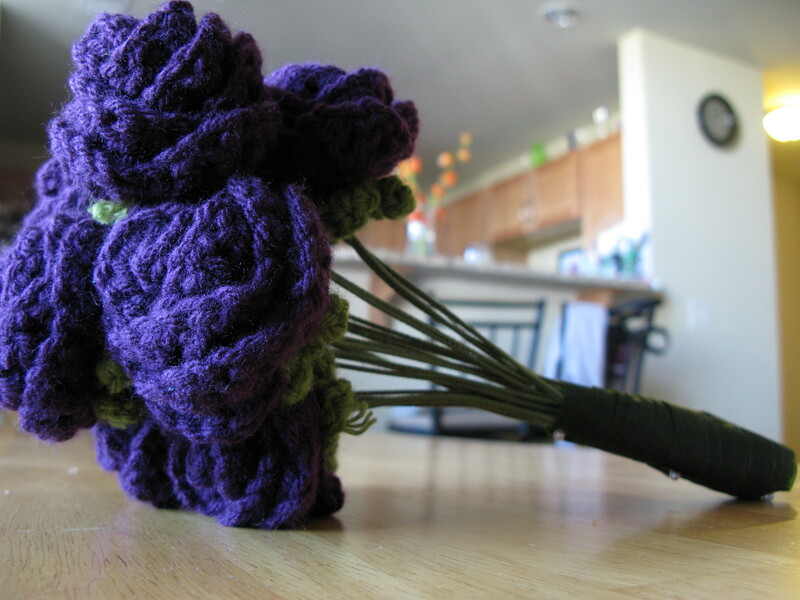 I’m pretty excited (as evidenced by the eleventy billion pictures I took) about getting my crochet bouquet to a nearly-completed state. 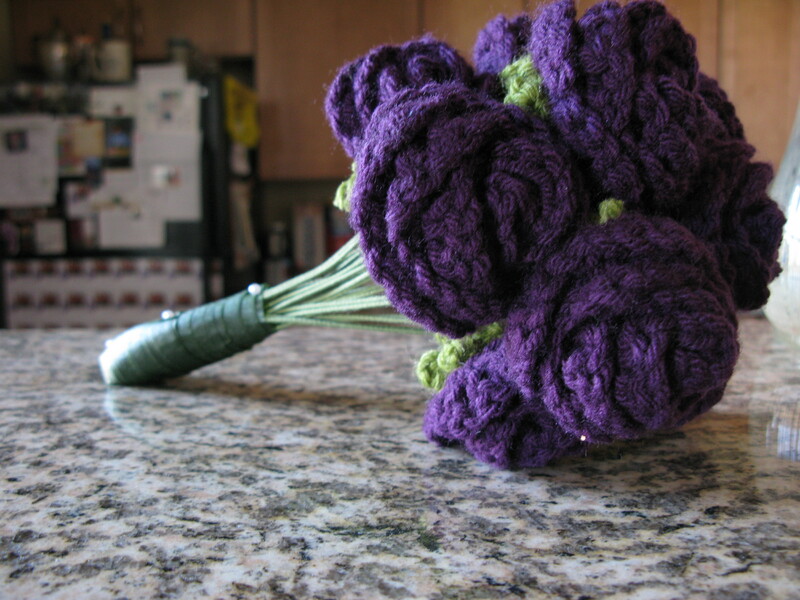 I previously talked about my decision to crochet my wedding flowers and posted pictures of the process of creating bridesmaids’ bouquets. 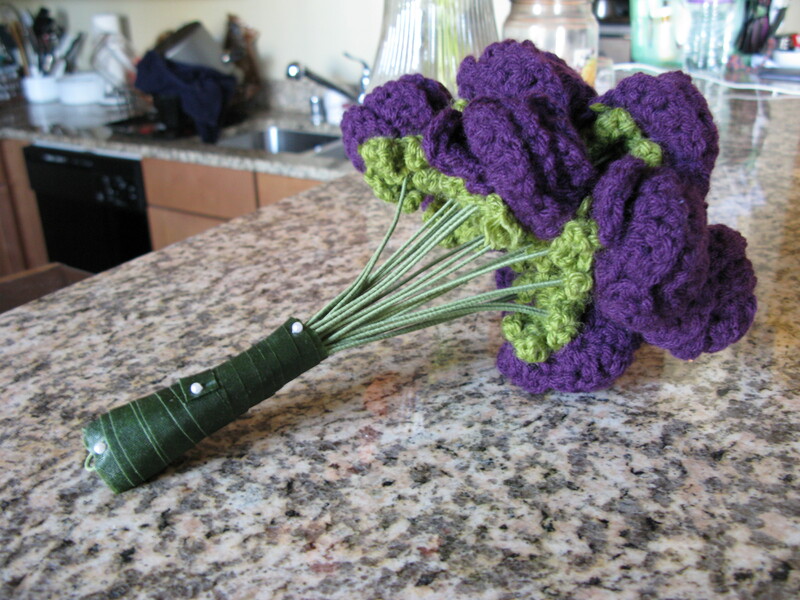 I followed a similar process for my bouquet. 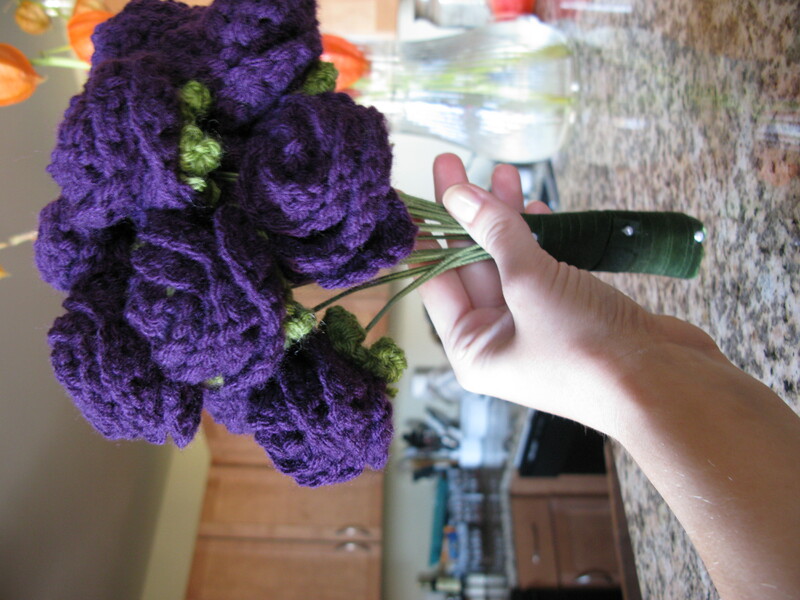 The only real difference is that I wanted the bridesmaids’ bouquets, which are smaller, to be plumped up – so I wrapped them in yarn for an all-over yarn-tastic look. 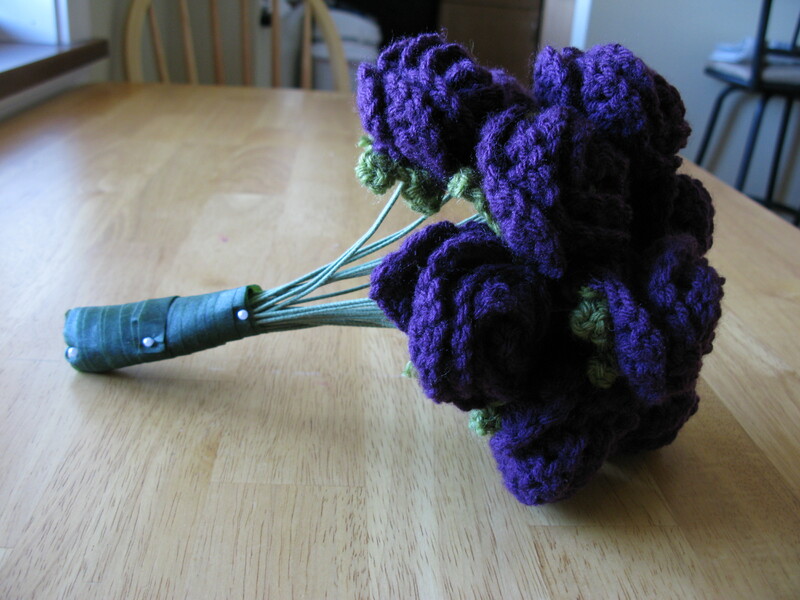 For mine, I simply left the floral wire bare, and I think with the bigger bouquet it actually works. 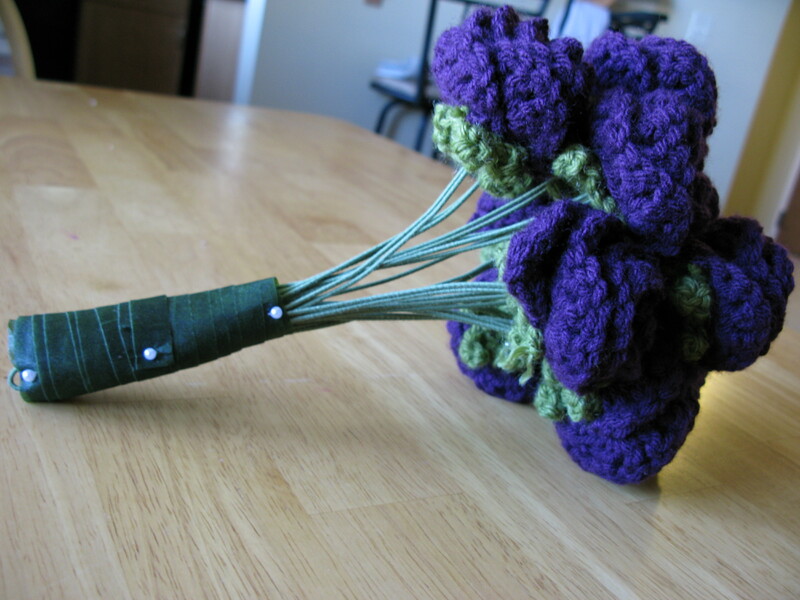 I still might wrap white or silver ribbon around my bouquet, atop the floral tape, but so far, this is what I’ve got. I’m pretty pleased with the outcome. I’m excited to walk down the aisle carrying something I made! 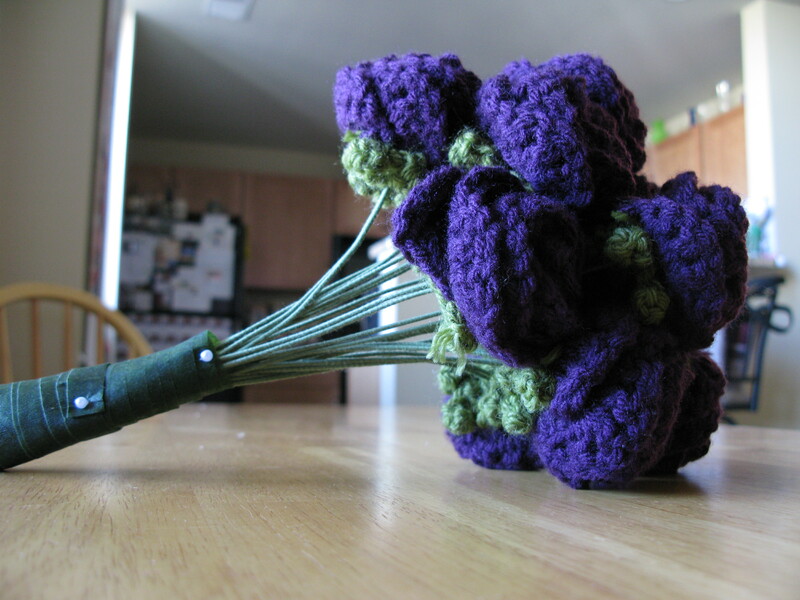 This entry was posted in Uncategorized and tagged bouquet, crafting, crochet, wedding. Bookmark the permalink. That is such a cute idea.. I love the color choice, too.